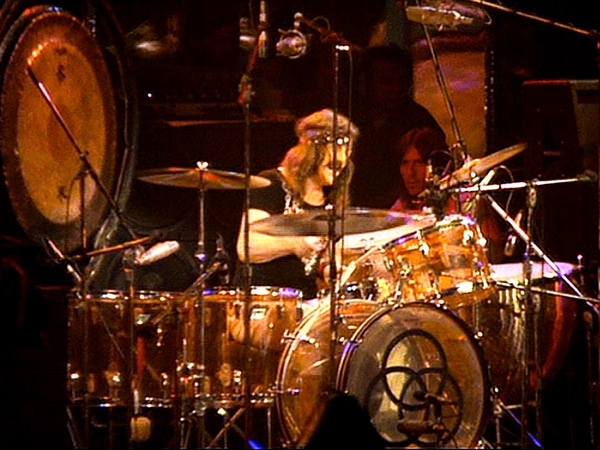 Bonham got his famous Vistalite Drum Kit in April of 1973 right before Led Zeppelin kicked of their 1973 US Tour after the release of their newest album “Houses of the Holy“. 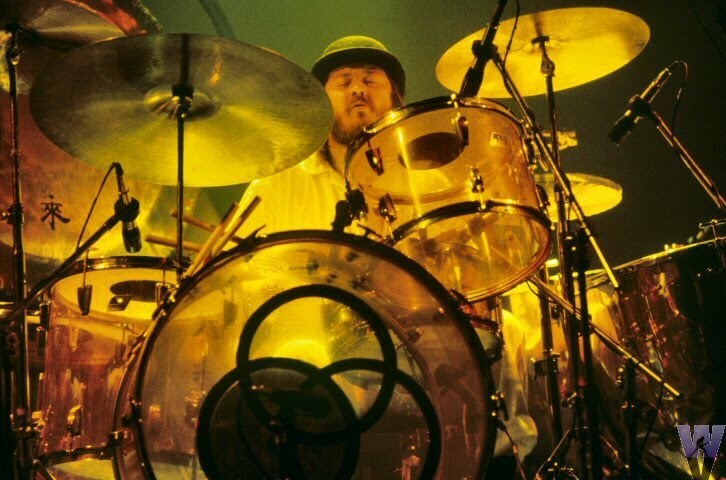 Bonham was one of the first to play this new line of acrylic see through drums from Ludwig and his was the only amber-tinted kit of the first run. 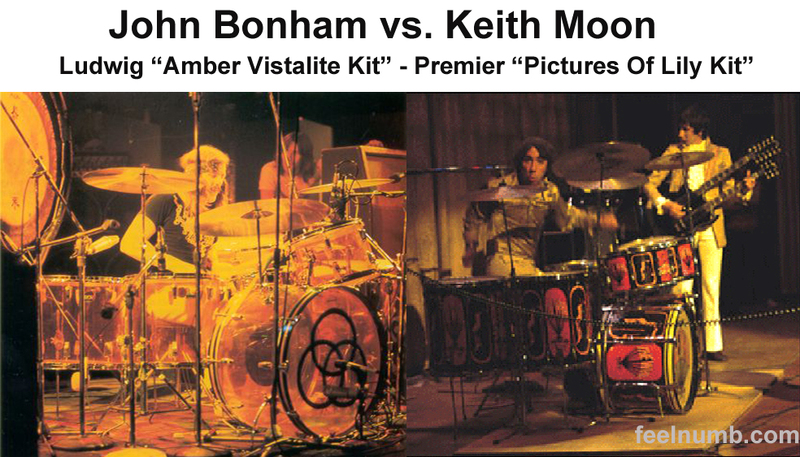 Moon had Premier custom-build at least three of these kits to his specification and the kit was first used in July 1967. 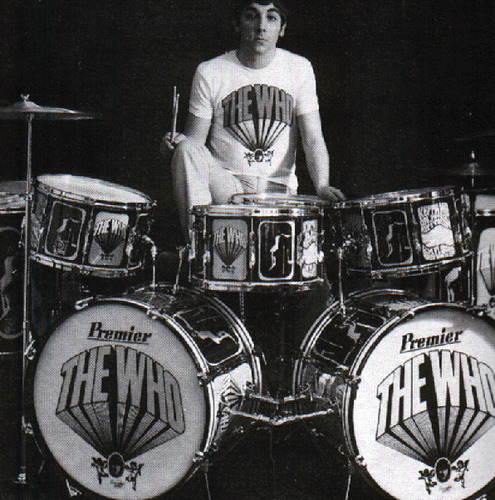 Moon decided to incorporate The Who’s most current single “Pictures of Lily” into the design. 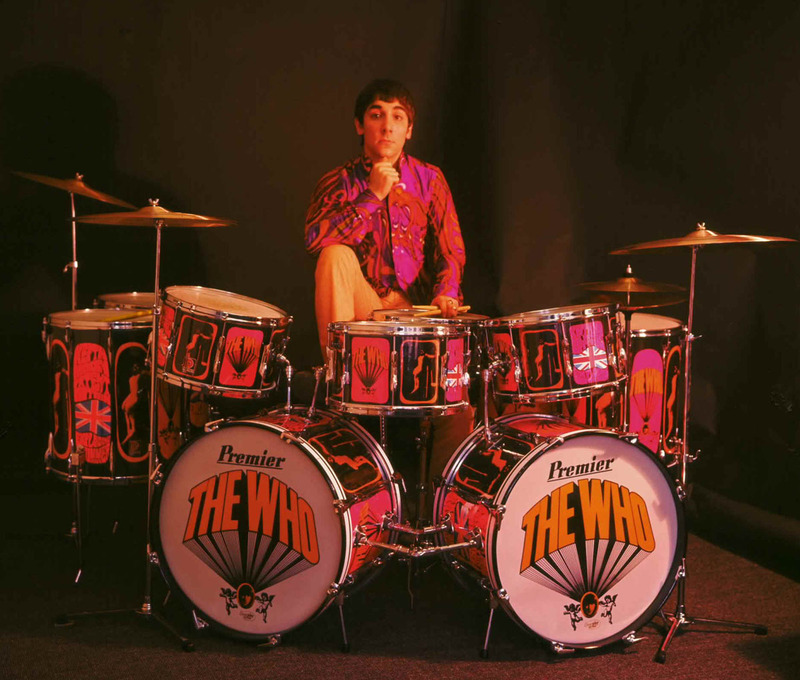 He last used this kit in December 1968 and famously blew one of them up during The Who’s Smothers Brothers Comedy Hour appearance. The Clash "Sandinista!" FSLN1 Catalogue Number Meaning? Paul McCartney Releases The John Bonham Version of "Beware My Love"
The Verve "Bittersweet Symphony" Stolen From The Rolling Stones "The Last Time"